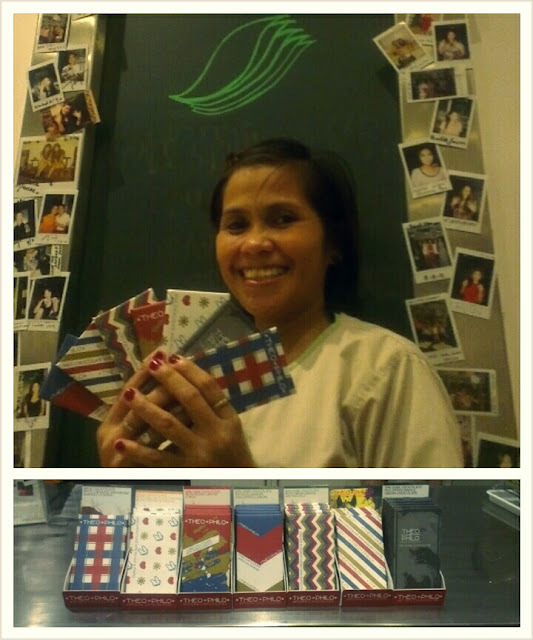 One of our best-selling products at Manos is Theo and Philo. 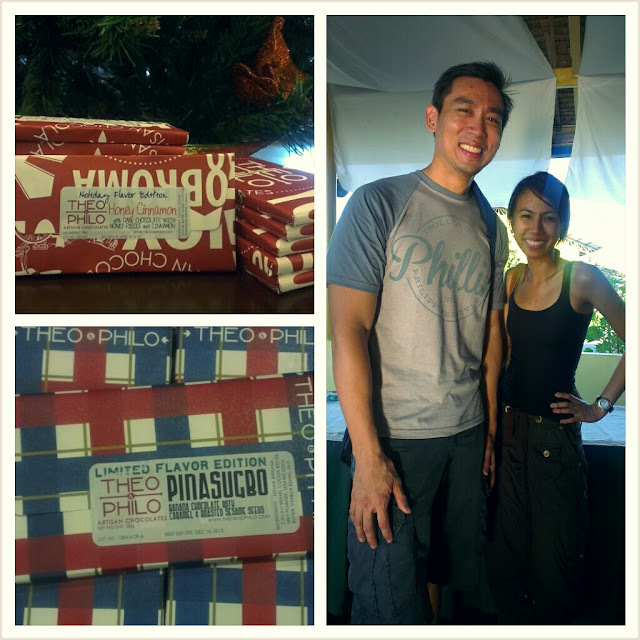 Theo and Philo chocolates are completely made in the Philippines from bean to bar: the cacao is grown in Davao, the sugar is sourced from Bacolod, and the different varieties creatively incorporate local flavors such as siling labuyo, pinipig and calamansi. The social entrepreneur behind it is Philo Chua. I met Philo in the remote (but very picturesque) island of Bantayan at the Gawad Kalinga Bayani Challenge in 2011, where we built homes together with other volunteers for 1 week. It was serendipitous because when Carissa, Ynez and I were planning Manos, we already knew that in addition to mani/pedi services, we also wanted to showcase world-class products that are proudly Filipino. At Manos, we carry the full range of Theo and Philo chocolate flavors. My favorites are dark chocolate with green mango and sea salt, milk chocolate with barako, the limited edition Pinagsugbo and the special holiday flavor. These are always a hit, and I love giving them as gifts to friends and relatives from abroad. We only order in limited amounts to ensure freshness, so we would suggest to place an order through us ahead of time for larger quantities, especially if you plan to order a bunch for Christmas.